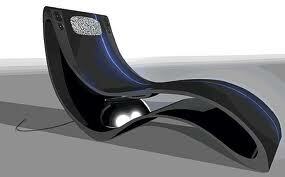 Why Technology Integrated Furniture Is In Trend? The rate at which technology has advanced over the years is astonishing. This in turn has also influenced our lives to a great extent. These days we can find cutting edge technologies in everything then be it mobile phones or furniture. It is true that even the furniture industry now makes the most of the latest technology to meet up with the needs of modern man as well as to stay ahead of their competitors. 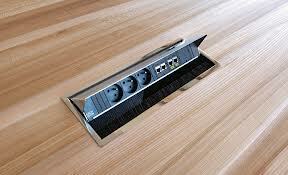 As a result of this, technology integrated furniture has become just as common. Perhaps, it is the usefulness of such modern furniture that they are being much preferred than the traditional furniture. Given that, their demand has already risen and will continue to rise in future too. So, what is it that makes technology integrated furniture so special? Well to begin with, traditional furniture pieces usually offer few options to choose from. Moreover, most of them look almost similar with the only difference being their colors and sizes. However, this is not the case with modern furniture. The technological advancement has brought forth a great blend of technology and designs in furniture. This goes without saying that modern furniture pieces are available in a range of varieties to suit every individual need. Secondly, traditional furniture pieces were mainly made from wood that made them too heavy to carry and more susceptible to getting damaged by weather conditions. On the contrary, modern furniture makes use of materials like plastic etch, plywood, chrome & steel and the like. That is why the new kinds of furniture are not only lovely to look at but are also light-weighted which makes them portable. Therefore, if you don’t like a furniture piece in your living room you can easily shift it to other rooms all by yourself. Thirdly, these furniture pieces are providing ground-breaking functions to its users. Till now we have seen beds which can be converted into sofas and other such innovations, but now furniture is being integrated with technology in unbelievable ways. 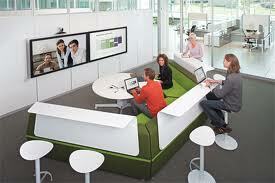 Like for example recliners with plugs, desks with power ports, modular conference table, etc. Lastly, the most important difference between traditional and today’s technology integrated furniture is their function. While traditional furniture could only be used for one purpose, modern furniture can be used for several purposes. Like for example, it is because of the ingrained sophisticated technology that a modern sofa can be converted into a bed. Thus we see that modern furniture is more reliable in terms of its quality, durability, design and function. So if you are in search of good modern furniture for your home then what better place to look for it than your nearest furniture store. Here you will find a range of modern furniture to furnish your bedroom, dining room, office etc. Purchasing your favorite furniture piece is easy. All you have to do is visit their site, have a look at what they have in store and directly make a purchase. The best thing is that they have mentioned their prices as well so that you may not have trouble making a purchase within your budget. The most notable feature of modern furniture is that they come with in-built technology. This feature makes them highly purposeful. There are modern sofas, chairs and beds etc. that perform various other functions than their basic purpose. Now you can easily convert your bed into a sofa as and when required. In addition, such furniture also includes recliners with plugs which can be used for electrical devices. There are also storage space especially designed for tablets and e-readers etc. Modern furniture is a combination of aesthetics and technology. Not only do they function well but at the same time they are designed beautifully. In fact, you may have wide many choices when it comes to their colors, sizes and overall outlook. Given their quality it would be hard to believe that modern furniture is available at prices that are affordable. As such they are manufactured in every price range so that everybody can purchase them according to their budget. Overall, technology integrated furniture aims at making our surroundings uncluttered. They serve many purposes, are sturdy and look strikingly beautiful. As furniture is one of the purchases that last for many years, so why not go for modern furniture pieces. Not only are they elegant in their designs and sturdy in their structure, they are also technologically oriented.